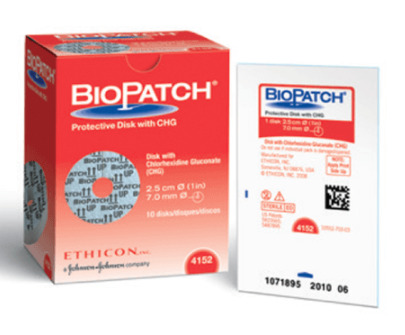 Johnson and Johnson Biopatch Protective Disc with CHG is an IV and wound dressing that provides a powerful antimicrobial and antifungal dressing. 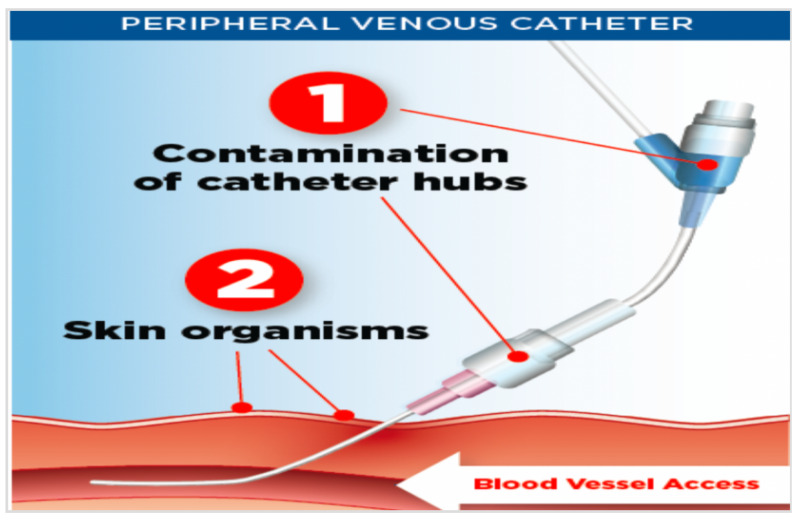 These features allow the Biopatch dressing to inhibit bacterial growth. 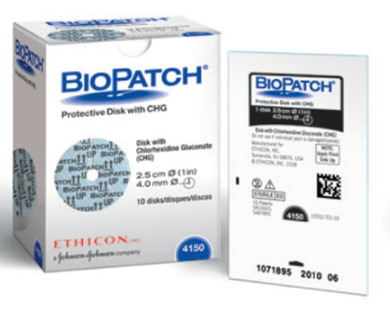 The Biopatch Protective Disk is a 1" disk with a 4.0 mm center hole. 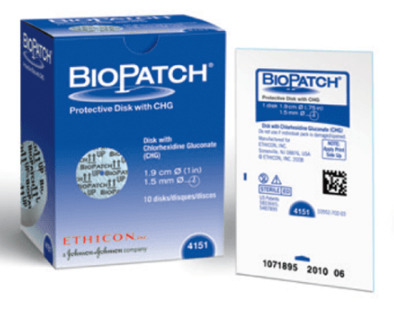 It has Chlorhexidine Gluconate and works continuously to inhibit bacterial growth for up to 7 days. The dressing can also absorb up to 8 times its own weight in liquid. 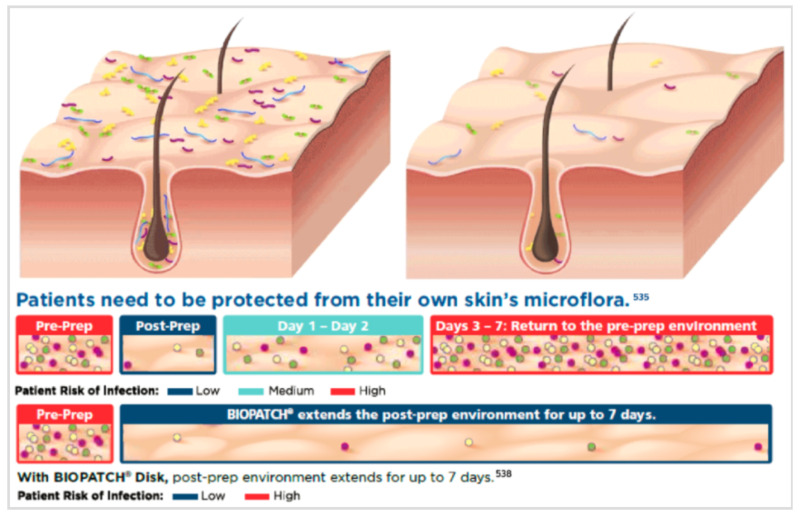 The dressing has an absorptive, non-irritating foam and inhibits gram negative and gram positive organism growth on the skin. It works with an antiseptic agent and stays in place on the skin. 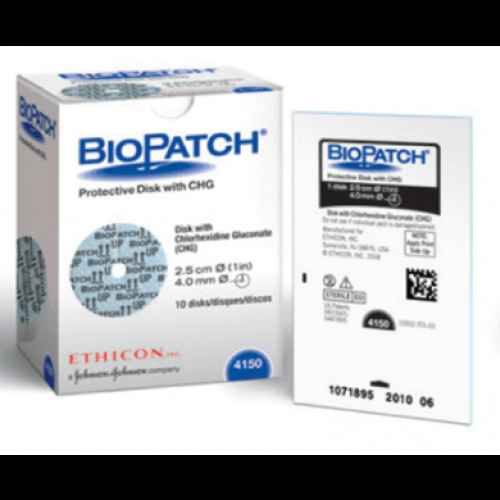 Biopatch Antimicrobial Dressing is non-toxic and latex free. It is packaged for convenience individually, in boxes of 10 and in cases of 40.